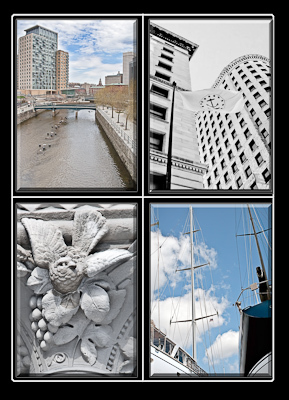 Greenwich Meantime Photography offers a range of fine art cards reflecting the rich visual heritage of the State of Rhode Island and beyond. The variety of architecture in Providence belies its small size, with colonial era homes coexisting with early twentieth century skyscrapers and a twenty-first century museum. Rhode Island Explorations is a journey through some of Rhode Island's most beautiful landscapes and iconic places, from Bristol to Newport to Block Island and beyond. Water plays a pivotal role in the Rhode Island landscape, from its sandy beaches and rocky promontories to the glories of Narragansett Bay. Images of ships and boats encounterd on my travels through Boston Harbor, the Harbor Islands and points north reflect my lifelong fascination with all things nautical. The blooming world has its secrets which the careful observer seeks to fathom. Copyright Carolyn Fahm, 2010. All rights reserved.